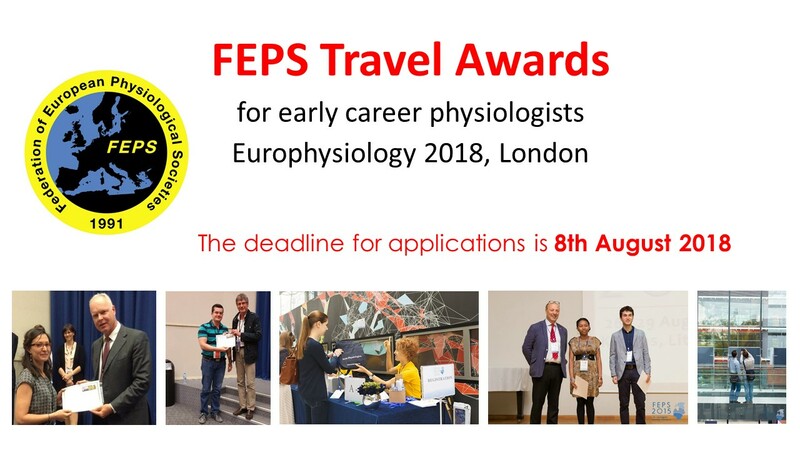 FEPS will provide 10 travel grants (250 Euro each) for early career physiologists to support their active participation in the Europhysiology 2018 in London, UK. Preference will be given to PhD students and those in their first postdoctoral position. Applicants should have a poster or oral presentation at the meeting and provide the following documents by 8th August 2018 to the Secretary General of FEPS, Professor Bayram Yilmaz by e-mail ( info@feps.org ).